As soon as you think you’ve seen just about every bacon product available, another one hits the shelves. 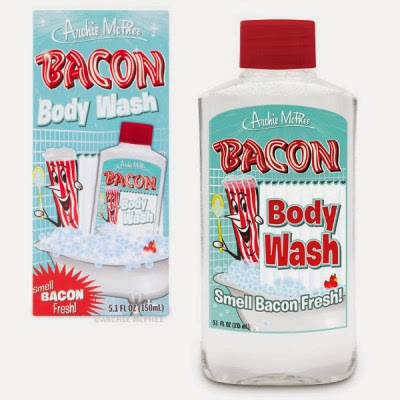 Enjoy the crispy smell of delicious bacon all day with Archie Mcphee’s Bacon Body Wash – you know, when you want to have the aroma follow you all day long. Just be mindful of all the little critters’ that may follow the scent… consider yourselves warned!